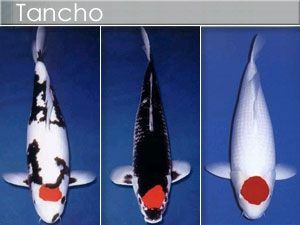 The word Tancho is often used when referring to a white koi with the Hi on the head - this would be correctly named as Tancho Kohaku. The bottom pic is lovely. Hmm how about this one it started out as a tancho sanke now a Tancho Goshiki LOL It has certainly been interesting to watch it develop. 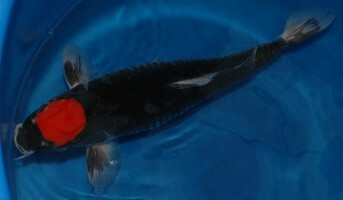 It certainly is, I had high hopes for this koi at one time, not sure now as it has had a lean spell and not grown much more.